Welcome to the floral universe of Atelier Rose Jasmin. Our profession is our passion. Our creations both romantic and natural, combine colours, textures, smells and emotions. With a special attention to the rhythm of the seasons, we get our inspiration from nature and its ephemeral aspect to create elegant, unique and tailor made compositions. We use the finest flowers, sometimes forgotten varieties, favouring more local producers when possible to highlight the floral richness and delicacy of the surrounding nature. Perfumed garden roses, jasmines, sweet peas, lilacs, lilies of the valley, dahlias, clematis, ranunculus, and anemones are among our favourite flowers. Claire started her floral journey 30 years ago in the garden of her grandma. It’s where she discovered the power of flowers through the eyes of a child: the joy but also the simple pleasure of being surrounded by these beauties. This gut feeling never really disappeared since then even thought she first did a master in management and had a career in luxury hospitality and tourism for 10 years. 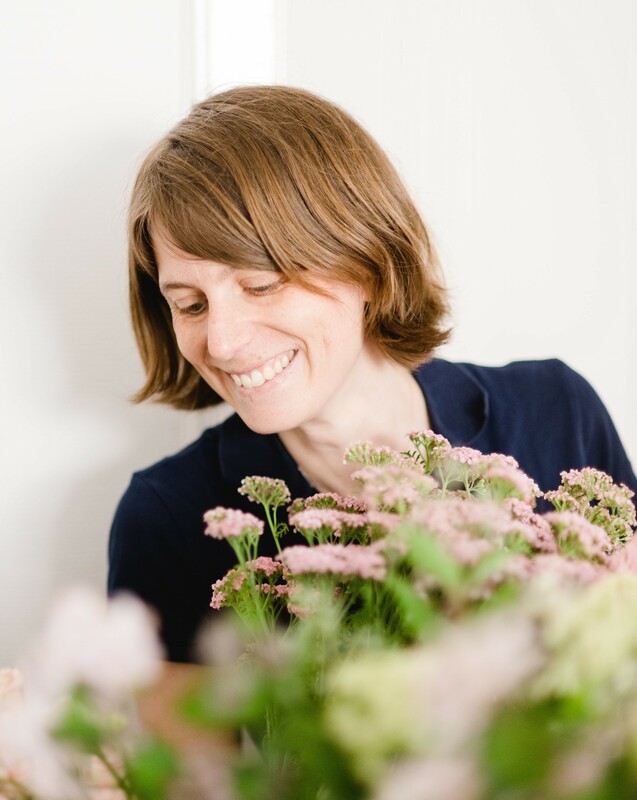 Some years ago, her passion came back to her even stronger, she trained at the Paris School of Florists and also had the chance to cross the path of some very talented international florists abroad who helped her find her own style. Claire has created the Atelier Rose Jasmin in her image and offers poetic and feminine creations in a very gardeny style. With a strong attention to details, she delivers unique and tailor made creations to her customers while adapting to their very own personnality.